Come January every year, taxpayers get serious about ways to save income tax. There are many tax-saving investment options. These include Public Provident Fund (PPF), Equity-Linked Savings Scheme (ELSS), and insurance schemes. But your home can also offer you a way to save tax. Find out how this is possible under the rules for income tax, India. There two ways by which your home can help you save tax. They are through the house rent allowance (HRA) and the home loan income tax benefits. Now, most people will assume that if you claim HRA, you cannot claim tax benefits on a home loan. But that is not true. You may live in a rented accommodation but have an ongoing home loan for another property. In such an instance, you can claim tax benefits on both houses. This is often the case for people who live outside their hometown due to work, but buy a house in their hometown for their families. Actual HRA provided by the company. Rent paid minus 10% of the employee’s basic salary. 50% of the employees’ basic salary if he or she resides in a metro city. Or, 40% of the basic salary if the employee resides in a non-metro location. You can claim a tax deduction on HRA through Section 10(13A) of the Income Tax Act. Keep in mind, that you cannot pay rent to your spouse and claim HRA. Doing so will land you in legal trouble. You can avail of various tax deductions on home loans. The condition is that the construction of the house must be completed within five years from the end of the financial year when you had taken the home loan. Tax Deduction on Home Loan Interest Rate: You can claim a tax deduction on the interest component of your home loan. You can claim up to Rs.2 lakh as tax benefit under Section 24 of the Income Tax Act. You can claim this deduction either when the construction of the property is completed or when you buy a constructed property. When searching for home loans, look out for companies offering competitive home loan interest rates. Tax Deduction for Home Loan Interest Paid during Pre-construction Period: You may have bought a property that is still under construction. It will be a while before you can move in. In this case, you can claim a pre-construction interest in five equal instalments. This will begin from the year in which you bought the property or the construction is completed. Again, here the maximum deduction allowed is Rs.2 lakh. 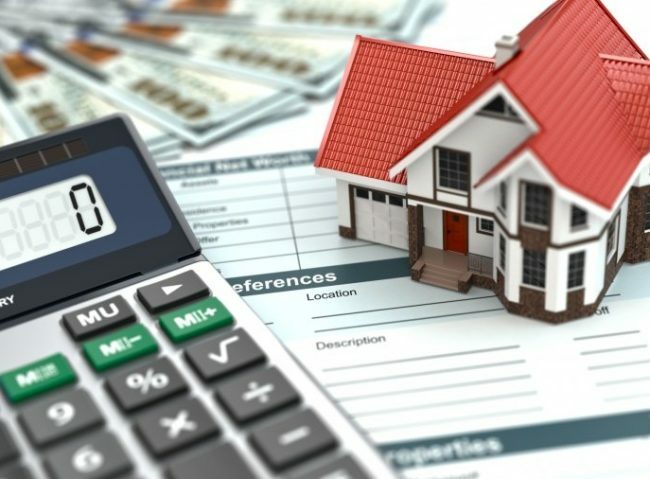 Tax Deduction on Principal Component of Home Loan: You can claim up to Rs.1.5 lakh as tax deduction under Section 80C of the Income Tax Act. Tax Deduction for First-time Home Buyers: If you are buying a home for the first time via a home loan you can claim an extra tax deduction. The maximum amount allowed is Rs.50,000. But to claim this benefit, the loan amount has to be Rs.35 lakh or lower. Also, the property value should not exceed Rs.50 lakh. At the time of taking the loan, you should not own another home in your name. Tax Deduction on Stamp Duty and Registration Charges: You can also claim a deduction on the stamp duty and registration charges for your home loan. This falls under Section 80C of the Income Tax Act. Thus, paying a home loan and staying in a rented property does not have to be a drain on your finances. Use the tax deductions available on both to max out your tax-saving options.